Backflow Certification | Noron, Inc.
Backflow certification is a requirement for all property owners. The requirement is for all types of properties in commercial and residential property located in Toledo, OH. The property owners are required to perform this important test annually. Notifications will be sent to all property owners as a reminder. Why is Backflow Certification Required? The backflow test is required of all property owners in Toledo OH. The goal is to prevent contamination that may result from possible cross connections. The backflow testing program assures property owners that their facility poses no risks to their residents. Water located within a facility is prevented from re-entering the municipal water supply and system. Installing a backflow preventer on the main supply line prevents the community system from plumbing problems the property owner may be responsible for managing. The entire community benefits from having safe, reliable water system free of contaminants. What Happens During the Backflow Certification Process? An inspector will schedule a testing appointment. The backflow tester will arrive at the property and test the backflow preventer. The results will be sent to the state and the property owner. An appointment rescheduled for subsequent testing if it has failed. What Happens if a Backflow Preventer is Installed? Our technicians can complete any necessary repairs or installations required to bring the property to code. 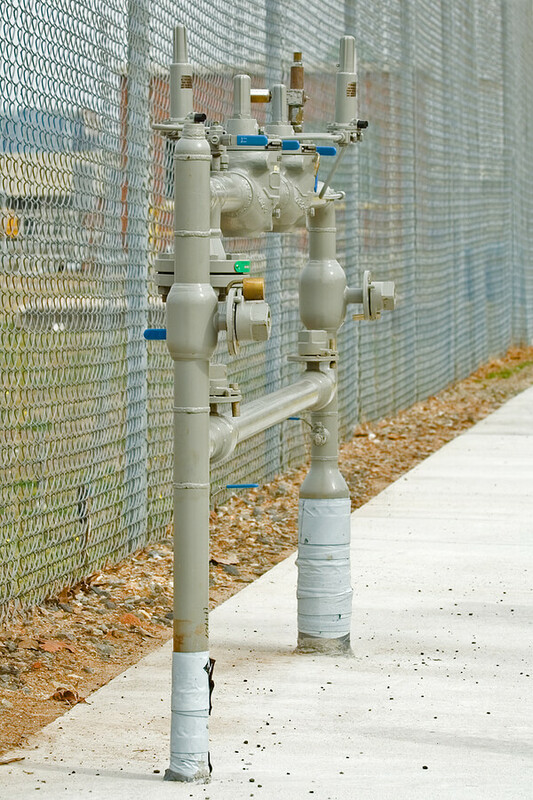 The backflow preventer will be installed according to specifications. Upon arrival, we will request the required documentation for the property to ensure proper installation. Once the installation process has been completed, that technician will perform the required testing to ensure that it is up to code. Who May Perform an Installation? Any certified testing professional can perform the installation. The backflow testing program protects the municipal water supply. All installers and technicians are required to undergo certification training and subsequent examination. The curriculum requirements are set forth by the State of Ohio. The testing program requires that all backflow testing providers be listed among the state-provided list of approved vendors. The equipment used in the testing process must be calibrated by an independent Approved Gauge Testing Facility. The gauge must be certified by an approved facility. The equipment is supposed to be calibrated within the acceptable tolerances set forth by Ohio. This is to ensure that any testing performed on any devices is reliable. Protecting the water supply is a priority for the State of Ohio. In keeping residents safe, steps must be taken to protect citizens to ensure a safe water supply. The health hazards that can result from a faulty or malfunctioning backflow preventer are a public health concern for municipalities. Property owners are required to maintain their backflow prevention devices to ensure that their communities remain safe. Annual testing is required for all commercial and residential property owners in the state. Certified professionals must perform the installation, repair and testing. Our team of certified professionals are authorized to perform any installation, repairs and replacements if necessary.